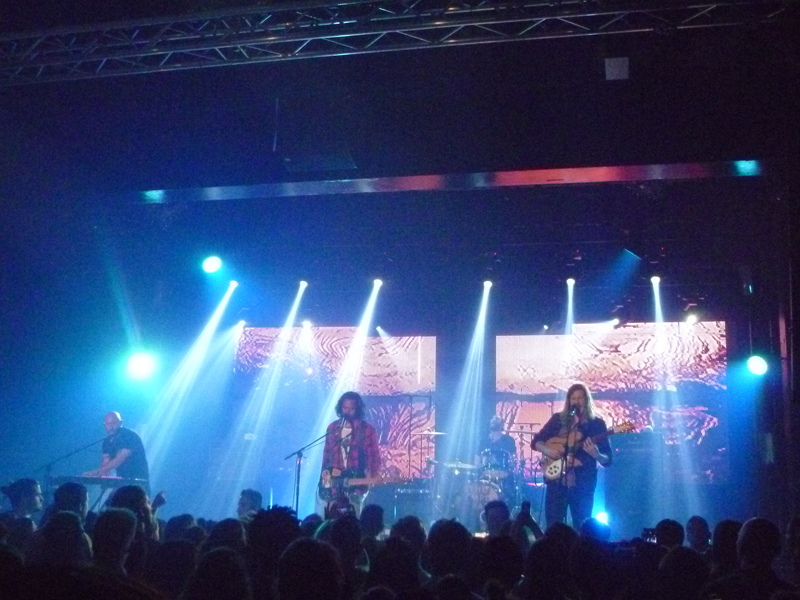 After all these years since first hearing Conditions, I’ve only ever managed to catch The Temper Trap at festival shows. 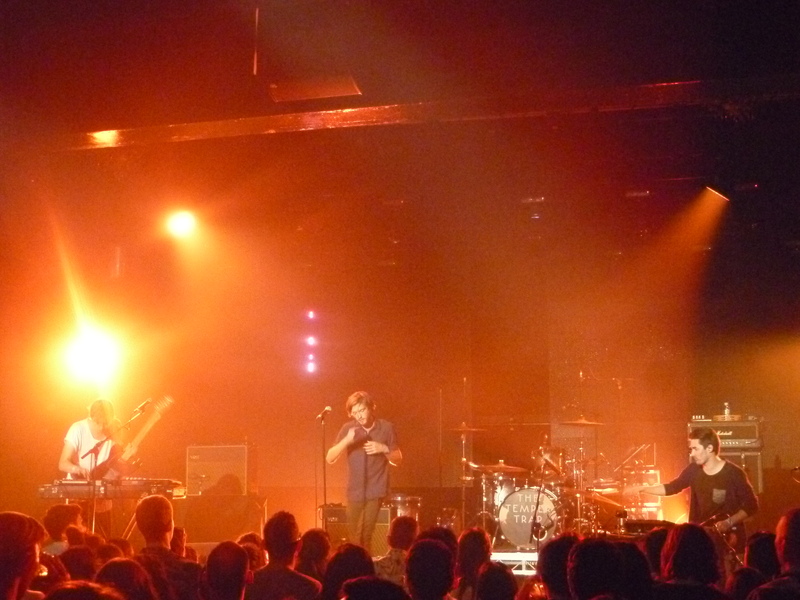 So without having planned to head to Falls for New Year’s (at that stage), snapping up a ticket to a headline show was a necessary decision and became the first gig for 2015. But first, an introduction to Charlotte OC – big vocals and beats to groove to, with the music seeming to turn a diminutive personality into a stage performer. Eventually an intro from the stage uncovered this was a first trip to Australia but after an almost possessed solo cover of Rui Da Silva’s Touch Me intertwined with some original material, it seemed that the crowd was a tad impressed with this newcomer’s pop sounds, and rightly so. For something a little closer to home, Mansionair shared a short but sweet set of their smooth electronic sounds, fused with a little R&B, flawless vocals and intricate drumming. Of course, tunes from the EP made the cut, with Second Night and the elegant Hold Me Down. 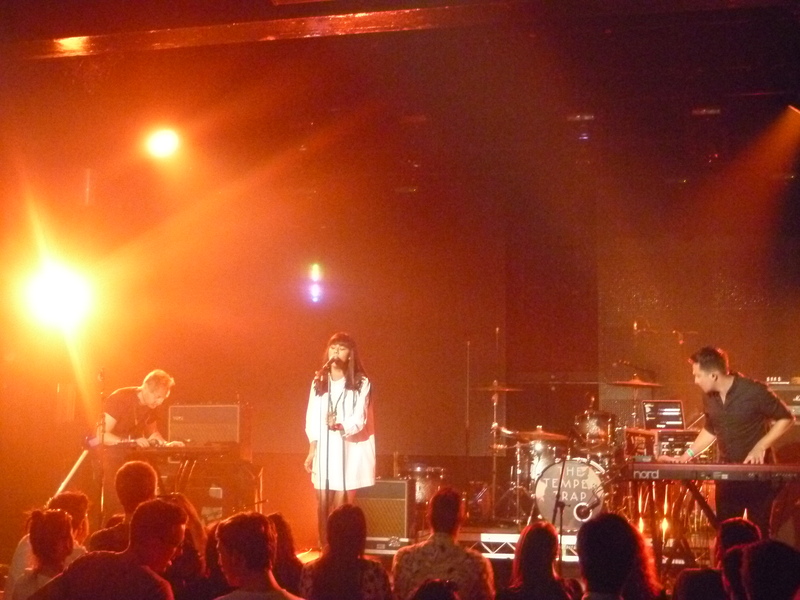 Suitably warmed up, everyone was eagerly anticipating The Temper Trap. Instrumentals to accompany the arrival on stage aside, the band opened with the encapsulating Rabbit Hole, only my absolutely favourite track from The Temper Trap. Thankfully, the good tunes continued to flow all night. A welcomed return was accompanied with the familiar Love Lost, but the cheers associated with a new album came a first taste of some new tunes as well, delivering everything expected in big anthemic sounds, soaring vocals and momentum exploding to an epic chorus. It’s probably safe to say that the little joke about the guys getting their jobs back at General Pants if the new tunes don’t go down well is an idea that can remain on the shelf for a little while longer. A more subdued Trembling Hands was quickly followed by a more energetic Down River and a barrage of new tunes effortlessly intertwined before the epic Science of Fear and more drums on stage only meaning one thing…. Drum Song. Cheers, applause and an encore followed…of course it did, there was no chance of leaving without hearing Sweet Disposition and sung throughout the venue proving that memories have effectively retained the eagerly anticipated lyrics.